! I would just advise you to use MP3. Why? Does it mean that you have not-so-good experiences with playing AAC+? please disregard the phrase on my post below. "what i mean about the upgrade is that,"
1. no i dont want to view the .jar and .jad files. what i want to see is the folder directories or local directory of the phone not the card. the phone's directory is like this. c:\folders\subfolders\etc. 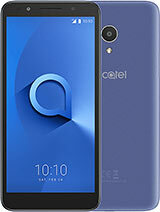 3. in junrex they have just released this new alcatel smartphone called OT7xx something. 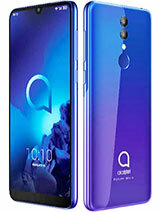 It has a touch screen and a big internal RAM, can support upto 2GB of miniSD and many other features. 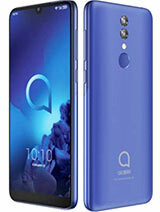 i was thinking if junrex or alcatel will/can upgrade my OTs853 to OT7xx since this phone is only two weeks old and its defective. regie, it is much better if you download both the .jad and .jar files because there java games & apps that don't run well if you only download the .jar file although some java games and apps can run without the .jad file. It is in www.getjar.com that you can download freely both jad and jar. There are other sites too. E-mail me at nelson_maus@yahoo.com if you want some games for this phone. I'll provide you free. 1) Right click or press the right side of the D pad. From there you can view the .jad and .jar files of your phone. About the bluetooth, this phone's bluetooth is for headset only. I cannot believe if you mean this phone does not work with motorola bluetooth because it must. OT C825's bluetooth is fully functional; you can transfer files, you can play music using bluetooth, etc. This phone does not hang if your unit is installed with the latest firmware. My unit does not and I'm using 1GB Kingston mini sd. To be honest with everybody, there are times that my unit occasionally hangs but its not "always" and there are reasons for that. If your unit really always hang there must something wrong with it and you must have it reloaded with the latest firmware. My nokia-user friend had bought his unit in junrex too but its 177 version. 1. on other phones like nokia and moto, when u install a "File Manager" wther a .sis or .jar file manager u have the ability to view the phones file system. like being able to see whats under c:\folder\subfolders\etc. WHILE on this phone it restrict you. it wont allow you to see it. 2. for the ebooks, i have mobipocket reader in java. when i install it it cant see the books i have in the card (books in .prc format). it always gives an error that it cant read the card an no my card is fine by the way. now it seems that this phone actually have a lot of issues. 1. i cant use the bluetooth. 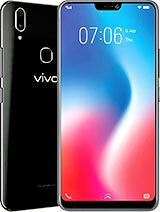 i dont know with u guys but this phone cant see nokia, motorola and palm devices. i can only see my belkin bluetooth dongle. 2. it always hangs. when im doing something the phone will just freeze. no its not reading the card when i does that and im not playing music. it just hangs. i tried several restore to factory settings but nothing. i went to junrex for replacement but they said its already more that 7days and i need to do all this hassles just to get this phone fixed. i really regret buying this phone. its suppose to a temp phone since i lost my Treo680. now it turned out to be the temp phone is also useless. 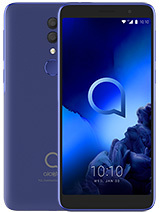 will alcatel upgrade this phone to the latest OT7xx? its almost the same price with this OTs853. please help me out. i hope gaming in this phone is not too harsh. can u give me websites that give away free mobile games especially suited for this phone...downloadable through PC of course. answers will be very well appreciated. I would just advise you to use MP3. 1. You can download and read e-book in this phone by using reader maniac. 2. This phone can read J2ME games and applications. 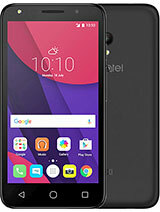 In your question, I understand that you want to access your phone book or directory via java games and apps menu and this is impossible not only for this phone but for other brand. Just correct me I misunderstood your question. Hi everyone. Long time not posting anything here since I have to use new phone to replace my S853. I just order a new battery through online store (from UK)because I can't get it anywhere in my country Malaysia. Hopefully if I succeed in getting the new battery I will recommend the website to all of you. I also went through protel.de website and they do sell s853 battery but the price is quite high for me and I can't really read German hehe. My phone is still functioning well , but the battery only last 1/2 day or less (of course I am using mostly music player and play it through the stereo speaker, but i think that is the main reason for us who bought the S853 anyway). 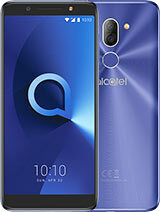 And I still hope Alcatel will produce a good 3g phone in the future. Initial charging is about 2 hours... or as long as the battery Icon does not "Move" anymore. hey i just bought this today. how many hours is the initial charging? i recently bought this unit and im impress with its features on such a low priced device. i like the speakers and the ability to charge using the miniusb. well i just have some issues with this phone. 2. it wont let you access the card's directory using java apps like ebook readers and files like Mobilerar or unzip app. i hope this can be fixed. have any ideas guys? Jerico, thank you for telling that. Your battery life should still improve up to 96 hours with minimal use as I've experienced mine. I bought it last January and its life only last for 48 hours during that month. To use the extended record option ( more then 30 seconds ) the phone should first of all have a memory card. Then do the following... Go to record video... press the options button... go to "default folder" and select "memory card" all videos from now on will be stored on the memory card!... now go to options... then "duration" and select "high duration"... you can now record for 10 minutes. hi! the only concern i have for this phone is to how or is there a way to prolong the 30 second video recording? can anyone help me out? the speakerS for this phone are awesome! and the clarity of the camera is outstanding-even the zoom! an officemate of mine even got his own same unit after laying his eyes on my phone and knowing the great features. please help me if there's a way to extend the 30 second video recording. THANKS!